On May 25th 1979, 6-year-old Etan Patz disappeared while walking alone to his school bus stop for the very first time, just two blocks from his Manhattan Soho neighborhood. 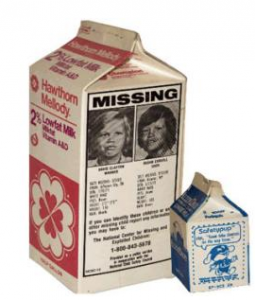 Etan was the first missing child to be pictured on the side of a milk carton. The cold case which has stretched decades became hot again. This past week police investigators began digging up the basement down the street from the boy’s home. Also last week, Dateline NBC aired a hidden camera series which tests parents’ teaching their children about strangers. In the first episode of “My kid would never do that,” Natalie Morales put her own 8-year-old son in a situation where he has to decide if it is safe to enter an ice cream truck. After he initially hesitates, Morales tears up when her son follows his friends. It’s clear that she and the other moms had the stranger talk with their children. We have come so far to protect our children 33 years after the disappearance of Etan Patz, but as we can see in the Dateline report, the best defense is to empower our kids to handle situations by role-playing and what-if scenarios. Does your family have a codeword? Do you children have clear rules about who can come in your home? Make sure your rules are very simple. In our house, the only people who could enter were those with keys. If they are lost in a public place, have them ask a woman for help. Explain that an adult should never ask a child for help. If they are being followed by a car, run in the opposite direction of the car. We hope that our children hear our messages, but it is clear we need to reinforce the message and role play as often as possible. He opens his wallet and pulls out a picture of an adorable infant. “My grandson,” he said beaming with pride. “How wonderful for you,” I reply. He then says that his daughter plans to stay home because she wants to raise him. The hair on the back of my neck stands up, but I say nothing. He has no idea that he just insulted all women who return to work after having children. He doesn’t realize that working mothers raise their children and work. I can’t expect him to understand that any more than he can understand what it is like to be pregnant. But I expect women to be more supportive of each other. We have come far and are able to make choices. There are women that have to work, women who don’t have to work, and women who choose to work. 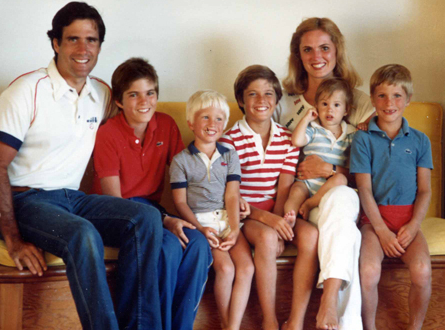 Hillary Rosen was criticized for the comment that Ann Romney never worked a day in her life was taken out of context. She wasn’t critical of Ann Romney for making the choice to stay-at-home, she simply wanted to point out that due to the economy many women simply don’t have that as a choice. The critics didn’t listen. No one should be judging what is right or wrong; it’s only your choice. Let’s reserve judgment for jury duty. In the meanwhile, focus on your own physical, spiritual and mental health and on being really good parents. Yes, there I said it! Let’s not forget that fathers are the other half of the equation we call parents which is not dependent on whether or not moms work.